Those of you who loved writer/director Bong Joon-ho's Snowpiercer will want to pay attention to his new genre film, a Netflix original, starring Jake Gyllenhaal, Tilda Swinton, Giancarlo Esposito, Paul Dano, and Steven Yeun. But, you'll have to wait until June 28 to watch it. From visionary filmmaker Bong Joon Ho, the creative mind behind the worldwide sensation Snowpiercer, comes the new global adventure Okja. 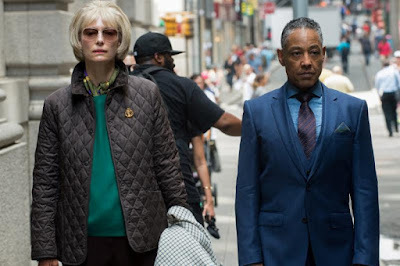 The film follows the epic journey of Mija, a young girl who must risk everything to prevent a powerful, multi-national company from kidnapping her best friend - a massive animal named 'Okja'.